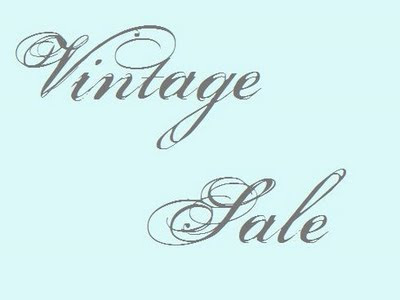 The Closet Case Vintage sale is 6-9pm Friday. For location and RSVP information, please click HERE. This is the final week of the Green Wagon's Super Sale at the Sylvan Park store. March 6 will be the last day the store will be open, so be sure to stop in and take advantage of the amazing deals they have right now. Remember, this is the Sylvan Park store only! Also, click the green wagon above for the details on Saturday's Kombucha workshop and Sunday's Children's Book Reading happening at the East Nashville store. 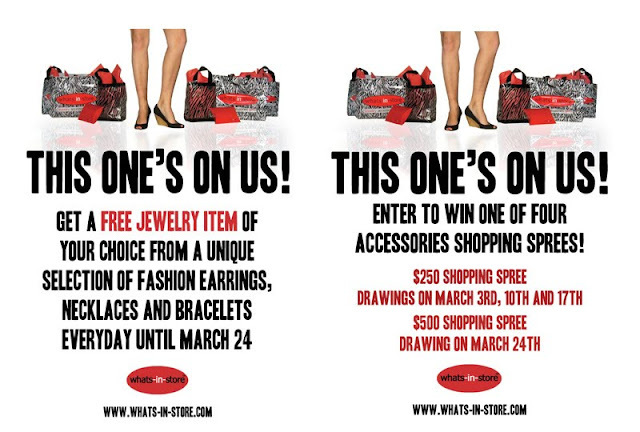 whats-in-store is having a free jewelry and shopping spree giveaway! This is our kind of deal! 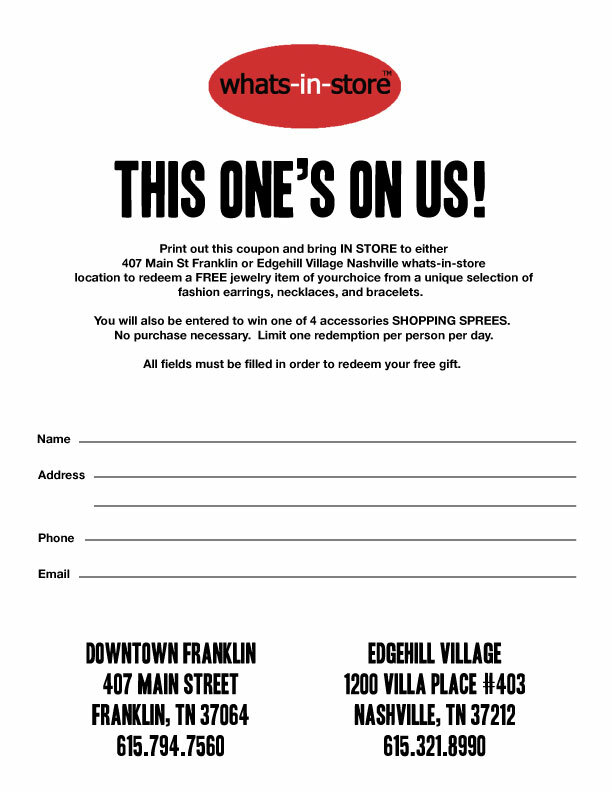 Print the coupon HERE, fill it out and take it to either whats-in-store location to receive your FREE jewelry item and be entered into the shopping sprees! 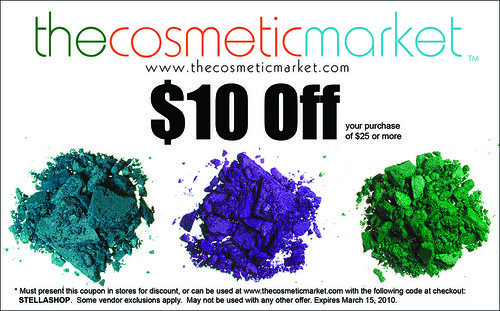 Our Stella Special Deal is still on at The Cosmetic Market through March 15. Take $10 off your purchase of $25 or more either in-store or online. 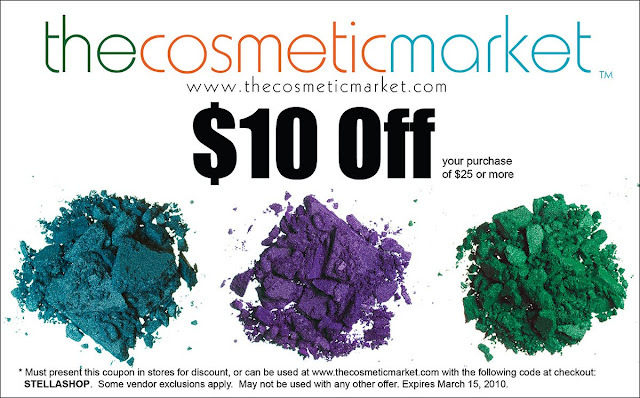 Click HERE to grab a printable coupon. Fingers are crossed my flight to snowy Cleveland doesn't get canceled tonight. But if it does, I'll see you at the Closet Case sale!